We all have our list of things for which we are thankful — let’s make sure we express our gratitude this holiday season. With our children in college coming home, and so many parties this time of year, this is a good time to discuss your family’s expectations pertaining to alcohol consumption. Not everybody shares the same view on alcohol, so make sure you have the conversation with your children before you arrive at your celebrations. This way everyone has a clear understanding beforehand, and your children know what is expected of them when it comes to alcohol consumption. 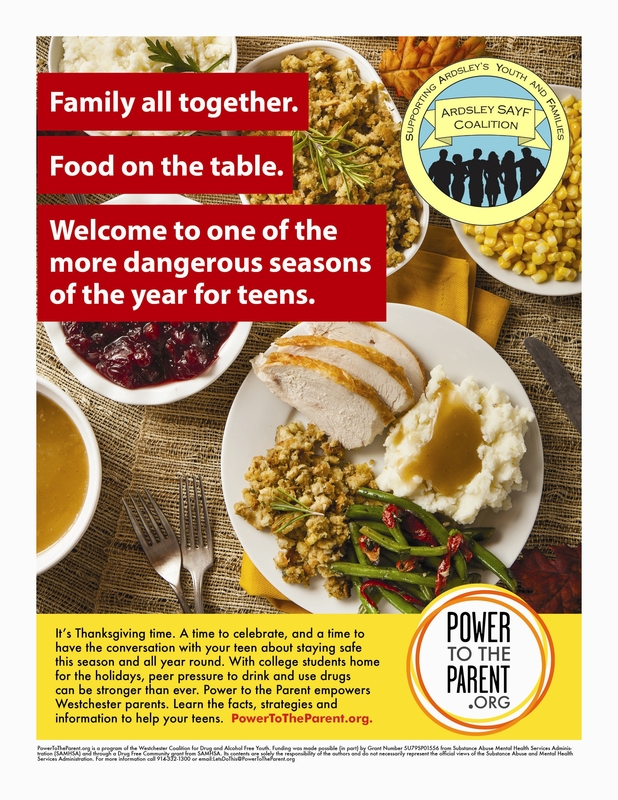 Let’s make this holiday a SAYF one, for we all have many things to be thankful for, and our children’s safety is one of them! Previous Post Link to Parent Survey About HS Students’ Issues – Please Participate!